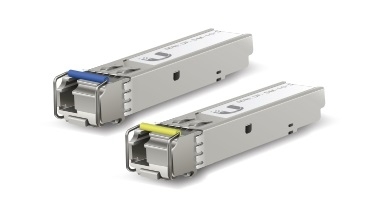 UF-SM-1G-S is set of singlemode 1G SFP+ WDM modules with 1 LC connector. Wave length is 1310/1550nm, this modules are suitable for distance up to 3km. Package contains 1 x Blue + 1 x Yellow module for a complete / functional pair.